People who have spiritual power have learned how to work with energy. Working with energy requires an understanding of both scientific laws and universal laws. Scientific laws change as science progresses. People who have spiritual power have learned how to work with energy. Working with energy requires an understanding of both scientific laws and universal laws. Scientific laws change as science progresses. There were once laws that supported the beliefs that the earth was flat, was the center of the universe, and that light only travels in a straight line. These laws held true until science advanced to discover other possibilities, at which time new scientific laws emerged. Scientific proof supports a set of beliefs until a new scientific model redefines reality. Many scientific truths have passed into myth, which only exists from the vantage of hindsight; it was only truth in the context of the time that spawned it. If history is an accurate predictor of our future, then we must assume that the current scientific truths will eventually become myth as new truths emerge. How confident of our scientific truths can or should we be? The American dramatist Arthur Miller observed, "An era can be said to be at an end when its basic illusions are exhausted." Our mental models of reality may never be more than "illusions" that we, as a culture, have commonly agreed upon. The models have the feel of truth because they are widely shared. They create our current paradigm. A paradigm is a constellation of concepts, values, perceptions, and practices shared by a community. That constellation forms the basis for how a community defines and organizes itself. Scientific paradigms, widely accepted by advanced societies, have become the basis of defining reality for our world community. Primitive societies that may not share scientific worldviews are often targets of programs intended to convert them to higher truths. At times, however, we have discovered that the primitive paradigms were, in fact, accurate. A good example is recent medical discoveries that validate the potency of traditional medicines and the role of mind-body-spirit connection in the healing process. Once considered to be of the realm of witch doctors, these are now receiving serious attention from the scientific community. Our beliefs --- even our scientific knowledge --- color our observations and perceptions. We look for evidence to corroborate what we know; we find the evidence because that is what we are predisposed to see. Consequently, we continually reinforce as true that which we already know. This is done at a subconscious level, but it is how paradigms govern our lives. Breaking out of these paradigms is difficult, and it takes strong character to go against such compelling and accepted societal norms. History is full of accounts of people being persecuted and, in some instances, killed because they supported new discoveries in science. Hindsight being 20/20, two hundred years later it is easy to say, "How could they have believed something so ridiculous?" What will be said of our beliefs two centuries from now? In truth, all things are possible and people are limited only by their own imaginations! That is exactly why the spirits are forever asking us to broaden our perspectives. Our belief systems affect our manifestations, including healings or what are commonly referred to as miracles. According to the information from my spirit teachers, there is no hierarchy of miracles. It is no more difficult to heal cancer than it is to soothe a stubbed toe. The possibility of healing, or the lack thereof, lies in the belief system of the wounded or the healer/practitioner. Healings and miracles deal with energy and the amount of faith or trust contributing to the process. Faith is built by the strength of one's belief systems. The more you believe something to be true, the more faith you have in the processes associated with it. The more faith you have in the process, the more energy the process will receive. The more energy received, the more fuel to create the desired outcome. As you manifest more and more in your life, your trust level will escalate. As your trust escalates, it feeds energy to your faith and your belief system and thus increases your ability to heal or to perform miracles. This diagram illustrates this cyclical process. According to the universal Laws of Attraction you will be adding energy either to your faith or to your doubts. The cycle in the illustration is just as true for negative beliefs. When doubt creeps into your awareness, you lose power. If you add energy to your doubts, they will manifest. You reinforce whatever belief system gets the most energy. It is also important to remember that hope is not the same as faith. Hope is an indicator of lack of faith. Complete faith is absolute; there are no doubts, no fears, no wishing, and no hoping. If you hope for something to happen, you cancel some of its probability. Until you know absolute faith, some of the upper level energy movement practices will be unattainable by you. You will still, somewhere in your belief system, create a hierarchy of difficulty in which you believe some things are beyond your abilities. This is why many of the so-called miracles are not accessible to many people; they do not have the faith to support moving energy in that way. Doubt extinguishes possibility. Some examples of activities attainable by working with energy are shape-shifting, walking on water, fire-walking, and levitating. All are possible. All are done regularly in the cultures that support these activities. Many of you, as you consider the nature of these activities, have just assigned a level of difficulty to each of these feats. This hierarchy of difficulty is established based on your belief system. If you have heard of something happening, then it brings it into the realm of possibility. As I said, these feats actually occur in physical reality. Shape-shifting, for example, is not just an awareness one might have in an altered state of consciousness, but actual transformation into another physical form that is able to maneuver in the physical world we commonly share. If you know the story of Jesus walking on water, but have heard of no other person performing the feat, then walking on water might remain, in your thinking, a case of "He can, I cannot." Your need for cumulative evidence will limit your beliefs about your own abilities. Levitation is the ability to defy gravity. Mystics have been known to do this for centuries. Yogis do it regularly during meditation. Saint Theresa of Avila was said to levitate every time she prayed; she would actually float to the ceiling. Her love for God was greater than any gravitational pull, and she floated upward because of her heart's desire to merge with her beloved Jesus. There are many historical accounts of levitation, but it remains one of the more difficult beliefs to accept. Fire-walking also defies physical law as we understand it. Fire burns when brought into contact with human flesh. Yet fire-walking has been done for centuries, and many people have heard of it. The mere fact of hearing about a feat brings it into the realm of possibility. Since more people have heard of acts of fire-walking than of levitation, for example, fire-walking actually has the greater potential for being possible. More people are fueling the thought form of fire-walking as a possible reality; hence, fire-walking is becoming accessible to more people. I have fire-walked myself numerous times. The first time I walked on fire, the group I was participating with was actually filmed for a news broadcast. During the broadcast, aired a month after our fire-walk, the newsperson not only had clips of us fire-walking, she also decided to get different opinions on how this was possible. She interviewed a fire marshal whose attempted explanation of the phenomenon was almost comical. Explanations I have personally heard range from the sweat on one's feet creating a water barrier, to the ash acting like an insulator, to the suggestion that people must soak their feet in ice water before they go across. The plain fact is, you just do not burn. To me, fire-walking felt like walking over popcorn; it crunched, and sometimes poked, but it did not burn. The red embers look like the perfect campfire for roasting marshmallows-the hottest form of campfire, more so than when it is flaming. So how can this be? Fourteen hundred degrees is red, scorching, searing, blistering, and glowing hot-a temperature that should cause permanent damage --- according to our physical laws of science. Yet, people walk across red-hot coals and glowing rocks that range in temperature from 1000 to 1500 degrees Fahrenheit and do not get burned. Their feet do not even get warm. Since that experience, Spirit has taught me much about manmade laws and physical laws. We need them to help us understand our world and to explain why things work the way they do. They provide a tremendous amount of safety to our frail humanness. However, when working with Spirit, we are capable of altering any of our frailties. Spirit is not limited by gravity, fire, the speed of light, time, or locality. All is possible. Belief in such feats is non-rational, requiring that one be able to move beyond rational thought to understand that the universal consciousness dwarfs our rational minds. There are volumes written about faith, but the concept is as simple as the mystery it defines. Faith is the belief in the unseen, not the seen. Faith is NOT looking at what presents around you but believing in a power that changes "seen" reality. Spirit is asking us to have faith and trust Spirit, trust the mystery, trust the unexplainable. Trust is developed from experience, even if our experience includes not being able to explain why something happened. When faith and trust are developed, we open ourselves up to the unexplainable truth of Spirit. It is mind boggling, many times incomprehensible, and it is supposed to be so. It is the Great Mystery. How much do you trust Spirit? Are you willing to let go and surrender to the process of change that is essential for spiritual growth? Lao Tzu in the Tao Te Ching wrote, "True mastery can be gained by letting things go their own way. It cannot be gained by interfering." You cannot and should not control the world about you, but you must surely participate actively. Mastery is being in the natural flow of the universe and allowing yourself to move to a new place. Imagine this scenario: You are asking or praying for some sort of physical healing. You are motivated and enthused, dedicating time to meditation and prayer, running energy through your body, and doing all the things you believe are good for you. Suddenly you lose your job. You are shocked, disillusioned, and fearful. You feel insecure, and lose your focus on your healing and your faith in Spirit. You have difficulty accepting an event that does not fit with your sense of what healing should look like. You attention has shifted from internal to external circumstances. You being to doubt. Consider the possibility that your job is the cause of an energy creating your illness. Consider that you might need to live in some other part of the country and that your job has been an impediment to that move. Consider that the nature of your work has made you unhappy, creating negative energy that contributes to your need for healing. Trust the things that happen. What appears negative to you may, in fact, be necessary for your spiritual awakening. Be thankful. And try to develop a larger awareness of how things unfold for growth and healing. Look positively ahead and contribute positive energy to whatever will be your next experience. Maintain your commitment. Trust that the events will take you to a good place, even if you aren't there just yet. Remember, your prayers are answered, you are loved, and there is a divine order to life. Miracles happen! Jan promotes self-healing, empowerment, better communities, a healthier world and conducts workshops for shamanism and journeying. She is a shamanic practitioner and has done over two thousand soul retrievals. 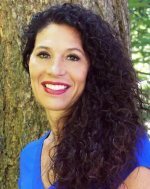 She is a Licensed Counselor, a Chemical Dependency Specialist, and Marriage and Family Therapist. She is also a water pourer for sweat lodge, a minister, and a Reiki Master. Find more at her website: janengelssmith.com. The new edition of Jan's book Becoming Yourself: The Journey from Head to Heart is now available at Amazon.com. The revised and expanded edition contains numerous new teachings and spiritual insights for the journey of self-awareness. For more information on this topic, please visit lightsong.net. Please email jan@lightsong.net or call 503-669-3013.